Location: At the Mt. Hope Event Center. 8076 SR 241, Mt Hope OH 44660. Located on SR 241 midway between Millersburg OH and Mt. Eaton OH. 50+ Stevens Including: (3) Crackshot; (7) Favorite; (3) Marksman including .44 Cal. 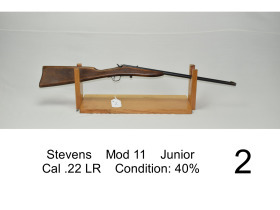 shot; (2) Stevens Pocket Rifles; Mod. 87-A; Mod. 56; Mod. 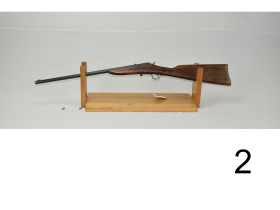 73; (3) Armory Mod. 414; Ideal Mod. 45; (3) Ideal Mod. 44; (4) Tip-up including 14 Ga. ?? Shotgun; Walnut Hill Mod. 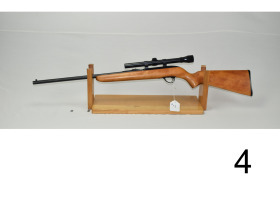 44 with 10x Unertl scope; Ideal No. 49 Cal. 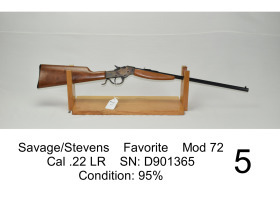 .32-20 (RARE), engraved, case hardened, fancy wood, folding palm rest, with Stevens scope, this gun is in very good condition and has it all!!! (2) Visible Loaders; Gallery mod. 80; Stevens Handguns including: Diamond Mod. 43; Mod. 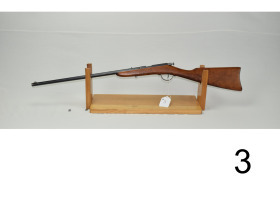 35; Mod. 41?? ; Mod. 10 & More. 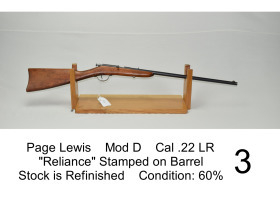 Military Guns Including: M-1 Garand – Winchester; Springfield mod. 1878; Mod. 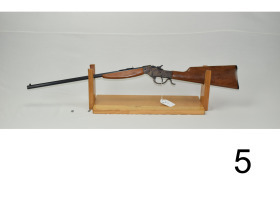 1903-A3 – Remington; Burnsides Carbine Fourth/Fifth Mod. 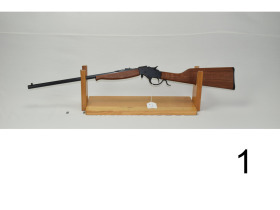 ; Maynard Carbine with Tape Primer; Walther P-38 & more. 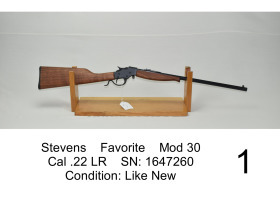 For a complete catalog of Guns or online bidding please visit www.kaufmanguns.com or call 330.852.4111. Terms: Cash, Check or Credit Card. Proper ID required. Note: Sonny has been collecting for many years and has a very unique Stevens collection. This is a private collection and no paperwork will be needed. Doors will be open at 3:00 PM. 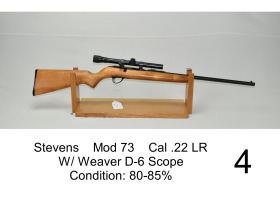 This will not be a long sale and we will start at 5:00 PM with the catalog. Terms: Cash, Check or Credit Card. Proper ID required. Additional Online Bidding Terms Apply.